Just like the picture says – take your leftovers from this salad, add some black beans (maybe a few more spices), and some cheese… fold it into tortillas… then dig in to some pretty hearty & healthy quesadillas. Of course, cook these on your stovetop and not on your marble countertop. 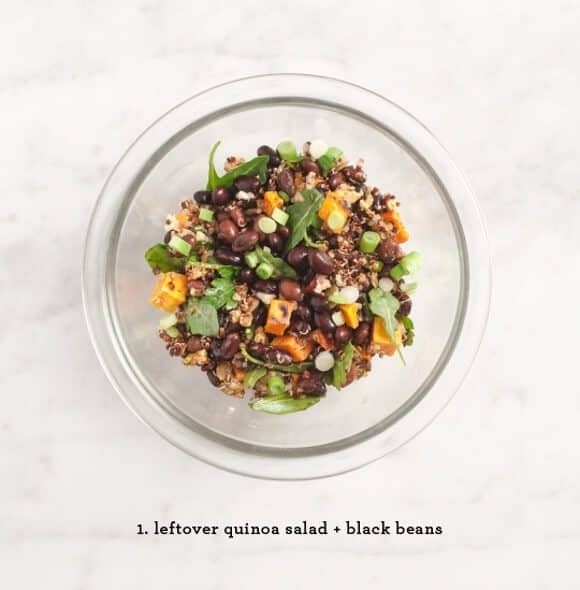 Take your leftover quinoa salad, add some black beans and some additional spices. (to taste). Place tortilla in a small skillet over medium heat. Add filling and cheese. Fold tortilla in half and press down with the back of a spatula so the cheese melts and starts to stick everything together. Flip and cook for a few more minutes. Remove from heat, slice, and serve with whatever garnishes you like. if you don't have leftover quinoa salad, you can start fresh by mixing some quinoa together with a few roasted sweet potatoes, a little olive oil, salt, and additional spices to taste. Hahaha I love your little disclaimer! Duh of course they do! I love re-purposing leftovers. So smart. what a great new way to use up quinoa!!! 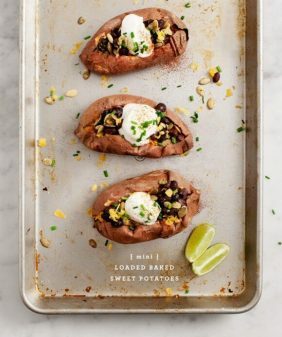 + anything mexican flavoured… this will definitely be a hit in my household. I’m all over this. LOVE! Ooh these sound so good! And regarding your marble countertop, I wish I had one of those too for my blog photography this weekend – love the look! So gorgeous! I eat this sort of thing all the time, but mine never look this beautiful. 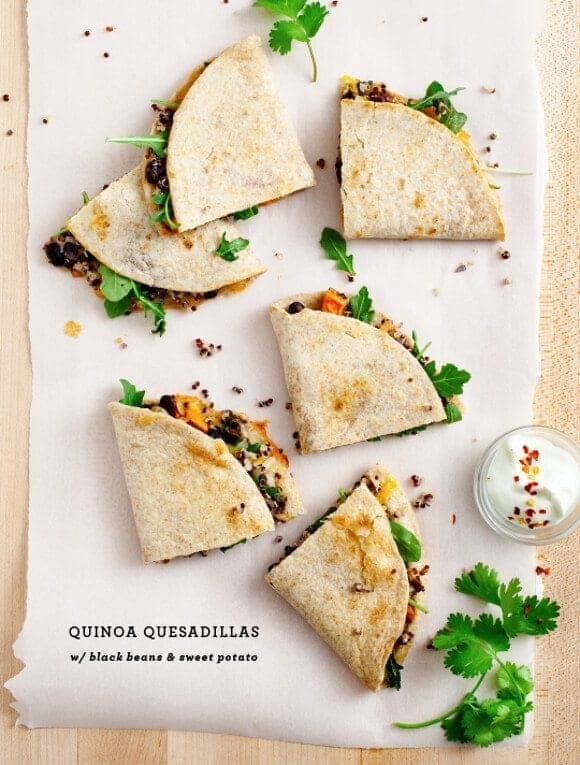 I’ve never thought to put quinoa in quesadillas! 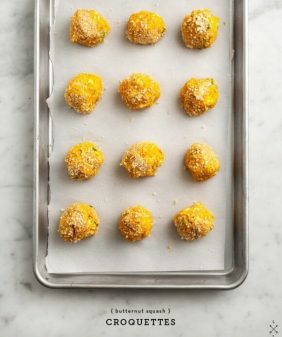 What a great way to bulk them up without adding more fattening ingredients! 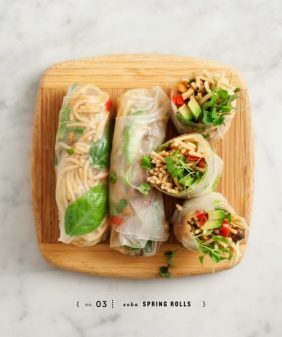 What an amazing way to use up leftovers! Wow, I love this! Quinoa in a quesadilla? Yes! Thanks! 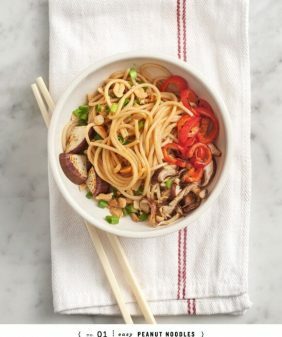 I eat absolutely everything I post here (nearly every post is our real-life dinner!). I eat dairy in moderation and I’ve actually found that I’m ok with higher quality cheeses… I have a harder time with processed dairy (and also milk and cream, which has more lactose – which is why I use almond milk and coconut milk a lot). Sometimes (as in this quesadilla case), I’ll put more cheese in Jack’s and just a little bit in mine. I enjoy a green juice from time to time in the morning or as a mid-day snack – hardly ever as a replacement for a real meal… I love food! Looks very delicious! I must to try it! OMG how yummy! Think we might have our hand at this for our upcoming recipe this weekend. 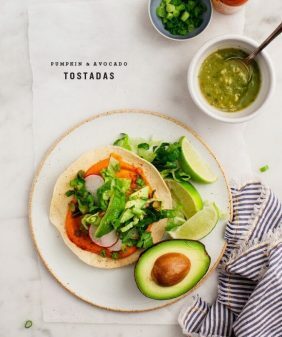 Where do you find whole grain tortillas that actually taste good? I prefer the taste of whole grain bread and whole grain pasta from the store but have yet to find a whole grain tortilla that tastes good. I’ve tried Trader Joe’s and Mission brand. Recommendations? 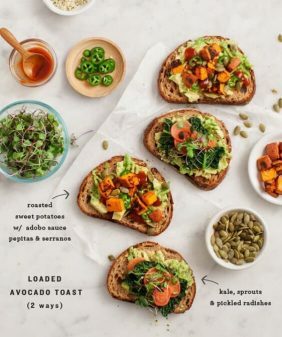 Hi Whitney, I haven’t tried Trader Joe’s or Mission’s tortillas so I can’t compare, but I like the whole wheat tortillas at Whole Foods (their generic brand). If I’m not making quesadillas with them, I usually char them a little on both sides over my gas stove – it helps the flavor taste more fresh. I hope that helps!